As long as there have been action figures, there have been superhero action figures. 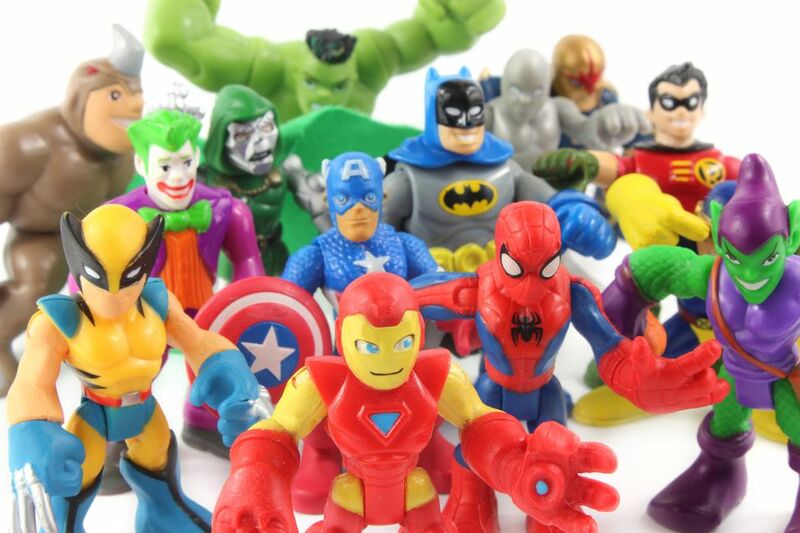 All the favorites from DC Comics and Marvel Comics have been represented in plastic for decades and depending on the company, the year, and the toy, they could have been from any number of lines. 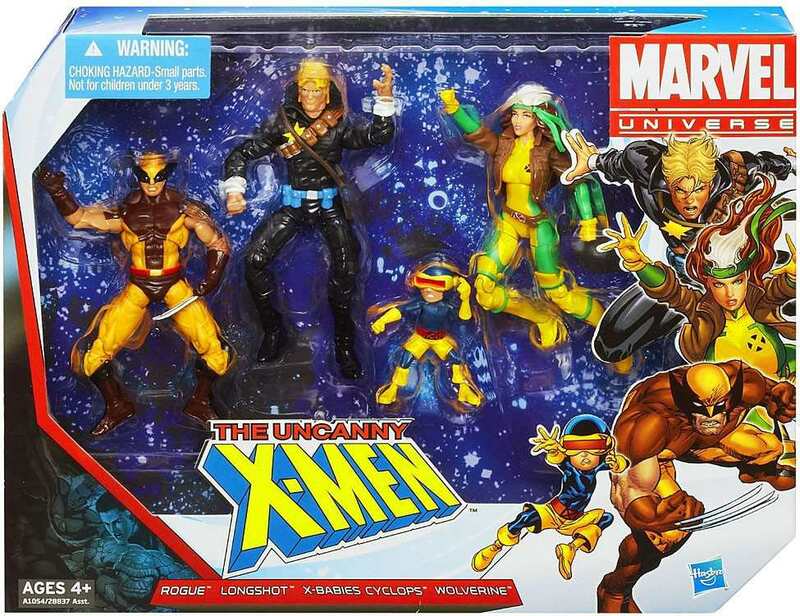 The Marvel Universe line was widely criticized from the beginning. Marvel Comics action figure collectors had grown to love the 6-inch Marvel Legends line, and the shift to 4-inch figures that Marvel Universe represented wasn't accepted by a number of fans. But as time passed and Marvel Universe began to stand on its own merits, the line became one of the most diverse and beloved lines in memory. Large-scale characters like Galactus have been introduced at five times the size of normal figures, creating an unmatched sense of scale and diversity within the line. Marvel Universe has given a huge number of fans exactly what they're looking for, making it a huge success. The Minimates line presents superheroes in an unusual way. Instead of the buff physiques, we're used to, Minimates make our beloved heroes look a little "chunkier", to say the least. These small, collectible, and very basic figures have taken superheroes and somehow made them even more fun. The consistency in design and enormous variety has made the Minimates line an instant hit that's only gotten better with time. Another unique aspect of the Minimates line is that it mixes Marvel characters with a limited number of DC characters. Although the Marvel universe has been more widely explored in Minimates form, the ability to crossover from one company to the other in the same style is an asset no other lines can afford. Minimates are very much the superhero action figure line for everyone. Much like the Minimates line, Mego's World's Greatest Super Heroes produced characters from both DC Comics and Marvel in the same style. Except Mego did it 30 years earlier, and in fact, produced the first standard superhero action figures the world would ever know. If for no other reason, Mego's World's Greatest Superheroes belongs on this list. Modern-day superhero figures might not exist without the influence of the vintage Mego line, as it certainly helped establish both the fans and the market for superhero figures. The toys themselves may not seem remarkable by today's standards, but the basic look and articulation were there, paving the way for every superhero line afterward. Mattel's DC Universe Classics line represents the most-perfect line of superhero action figures that have been produced so far. They're not perfect, but they're the best superhero figures the industry has to offer. They take all the modern luxuries and create a wonderful blend of articulation, sculpting, and design that results in an action figure to suit the average collector quite splendidly. Although DC Universe Classics are the best superhero action figures ever produced in many respects, they are simply the most recent iteration of a paradigm started long ago. You can't go wrong with this line, but it didn't change the landscape of superhero action figures. Marvel Legends did change the landscape of superhero action figures. And though Marvel Legends figures may not be as perfectly balanced as their DC Universe Classics successors, they changed the way the industry looked at action figures altogether, producing an incredible run of figures along the way. Toy Biz's Marvel Legends line introduced new standards of articulation, paint, sculpting, and solidified the Build-a-Figure concept. All concepts which are still carried through to many current lines. Legends also created a huge collector community with its figure variations and exclusives. The figures were fantastic, the innovations were meaningful, and the community was vibrant, making Marvel Legends the single-best superhero action figure line of all time.